If you haven’t yet been to The Museum of Everything, make sure you check it out before it moves on to the next city in February! This exhibition of art brut, aka outsider art, is housed in an old convent on the stuffy boulevard Raspail. You can’t possibly miss the museum because the signage stands out like a loopy smile in a phalanx of aloof, sand-colored buildings. Part of what makes the show so affecting is the way it rambles from room to room, from Henry Darger to Guo Fengyi, up and down narrow steps from one floor to the next. It feels as though you are inside one of the artists’ minds, moving from wide spaces to shadowy corners, stumbling and feeling your way toward understanding. Even if the wall text weren’t there to explain each artist’s disability or troubled background, you would still feel their pain and the weight of their struggle in the art. The art is obsessive, sometimes beautiful, sometimes troubling. The Museum of Everything really made me question art -- how we define it, how we choose to validate then display it -- and made me wonder, too, about art’s therapeutic, prophylactic and redemptive power. I was quite moved by the art, but also very grateful for the café and gift shop’s cheery respite! 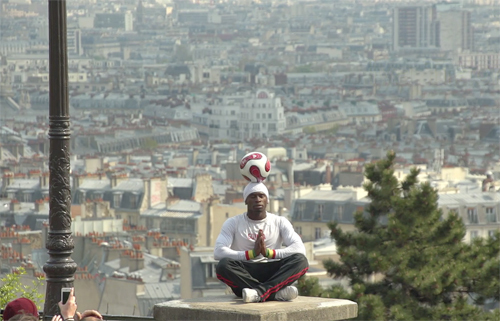 As a teenager I lived in the 17ème arrondissement, closer to the banlieue of Clichy than to anything resembling a Parisian cliché. Between my lycée on the hardscrabble boulevard Bessières and my dance school near the much tonier Porte Champerret, my familiarity with the 17th merely skirted its periphery. To me, Batignolles wasn’t a charming square, but the name of a stop on the 66 bus line, a bus I’d take to Opéra whenever I needed a new pair of pointe shoes. I was myopic in the way that only a fifteen year old can be, etching my life with a fine-tipped scribe and never stepping outside of the lines. Do you feel like this at the Louvre? So overwhelmed by the magnitude of art that you want to wilt like a flower? Or do you arch backward in ecstasy at the centuries of beauty on display? I vacillate between the two extremes, and have finally learned to take in one gallery or school of painting per visit. This can be quite challenging if you’re a first-time visitor who feels pressure to hit the highlights, however once you realize the Louvre isn’t going anywhere, it takes the stress out of the equation. Who wants to live a life with space for only one single Louvre visit, anyway? Pace yourself -- you have years ahead of you to return and continue imbibing and appreciating the collections. As a child, I listened to Maxime Le Forestier’s song “San Francisco” over and over again, searching for clues. Surely, he was singing about my family’s neighborhood! His descriptions of houses leaning up against hills, of a city cloaked and swimming in fog, the light, the crazies and long hairs playing guitar were exactly what I saw looking out my bedroom window. I knew exactly what he was talking about, but in my kid brain, I figured I must be wrong. How could someone know so intimately the landscape of my American home, yet praise it in our secret language, French? It confused me in the same way that “Rendezvous,” the name of a local bar on Divisadero Street, confused me. Was the bar French? How do you pronounce “Rendezvous” in English? Wren-dez-vowss? I am posting this just because it makes me happy and it seems like the perfect mid-week bit of lightness, a mashup of Nouvelle Vague and Nouvelle Vague. Children in France get part of Wednesdays off. Why shouldn't we grownups have a bit of respite from our usual train-train? As you can imagine, it drives me crazy when people disparage French music. While I admit that there are some very triste chapters in the history of Francophone warbling -- ugh! hilarious! -- which country has not birthed questionable pop music, I ask you? Nations in glass houses should not throw stones. And anyway, as stated before, your Yums are very likely someone else's Yucks. With that, here are some recent Gallic faves that have been making their way into my yoga playlists. Right now at the Musée des Arts Décoratifs there is a fabulous show called Goudemalion about Jean-Paul Goude, the mastermind behind so many indelible French images. From Grace Jones’ razor-sharp angles, to balletic and operatic advertising campaigns for Prada and Chanel, to costumes for the 100th anniversary of the French Revolution, there is really nothing this singular designer hasn’t touched that hasn’t had striking visual and visceral impact. 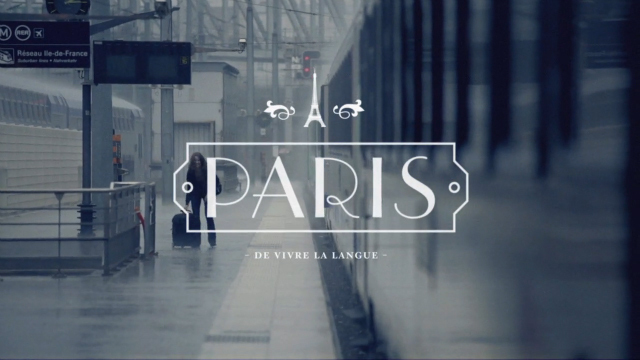 The above image captures three of my most favorite things in the world: train stations, Paris and typography. The first word you see, in fact, is “Paris” superimposed on the quais, set in a typeface known as Parisian. What could be more perfect? 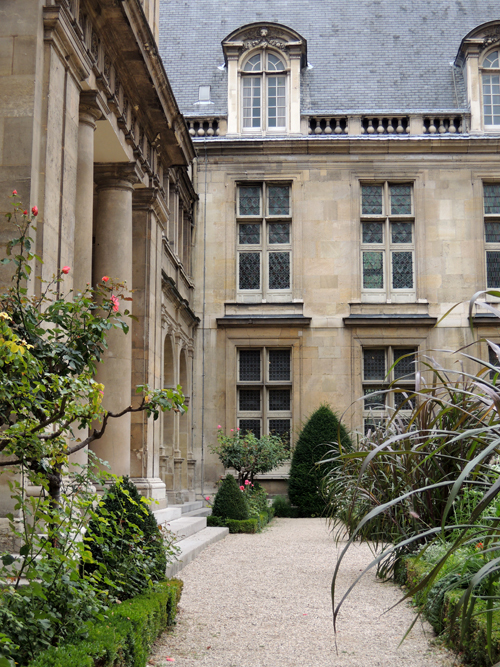 Thanks to the Mairie de Paris and the Région Ile-de-France, you can use your laptop or smartphone to surf the internet in more than 400 Parisian museums, city halls, libraries and parks. To do so, keep your eyes peeled for a purple oval that says Paris Wi-Fi -- it will be located near entrances or on announcement/message boards. All you have to do is join the Orange wifi network and follow the registration cues (these should launch automatically in your browser, however if they don’t, launch your browser after you’ve clicked Orange.) You’ll go through a few steps to set up a login and password. Once that’s squared away, félicitations! For two hours, you’ll have free access to the internet. The Seventh arrondissement is very popular with North American tourists. They crowd the cafés on the rue Cler, order what a friend of mine has dubbed “The Spesh” at the Greek crêpe stand (“The Spesh,” or La Spéciale, is an egg, emmenthal, feta and tomato crêpe – messy but delicious,) and generally keep that picturesque pedestrian lane humming year round. Pre-Rick Steves, whose books essentially put the cobblestoned street on the North American radar, rue Cler was your typical-for-the-Seventh busy yet still sleepy enclave. Think government ministries, embassies, and the Assemblée Nationale and you’ll start to get a sense of the energy of the place: sober, quiet, serious.